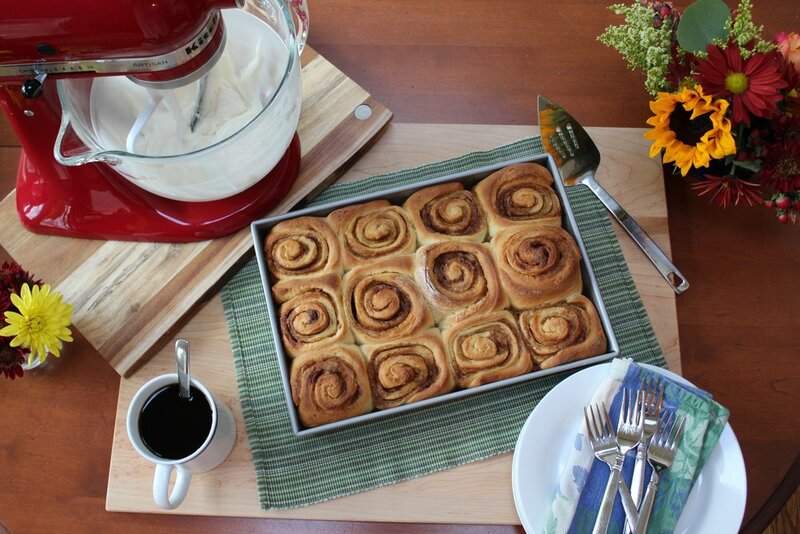 We love cinnamon rolls when it’s holiday time and can enjoy a nice relaxing morning to dawdle around the house sipping our coffee. Waking up crazy-early to start making cinnamon rolls from the beginning would defeat the relaxing morning plan, so I make the cinnamon rolls most of the way the night before and let them proof/rise in the refrigerator overnight – which allows you to sleep in, but also it seems to improve the texture and flavor of the dough. This dough is rich with butter, milk, an egg and egg yolks – reminds me of tender and rich brioche dough. I like my cinnamon rolls with just enough buttery cinnamon filling to smell and taste amazing, but not overpower the flavor of the beautiful tender dough – feel free to adjust the filling amount to your liking. 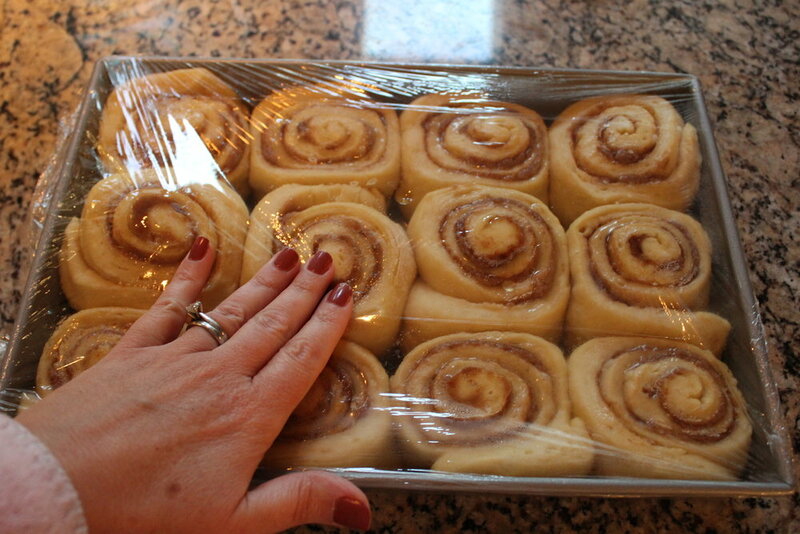 I always spread the warm rolls with a simple icing the melts, coats the rolls and slips into all the cinnamon swirls. Sometimes I make a simple butter, powdered sugar and milk icing, sometimes I make one with cream cheese – either way, they’re delicious! 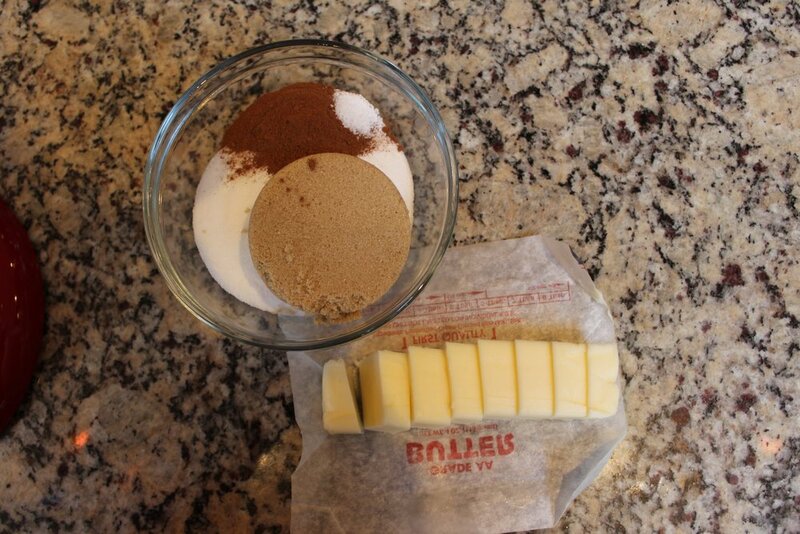 While milk and butter are cooling, gather the rest of the ingredients. 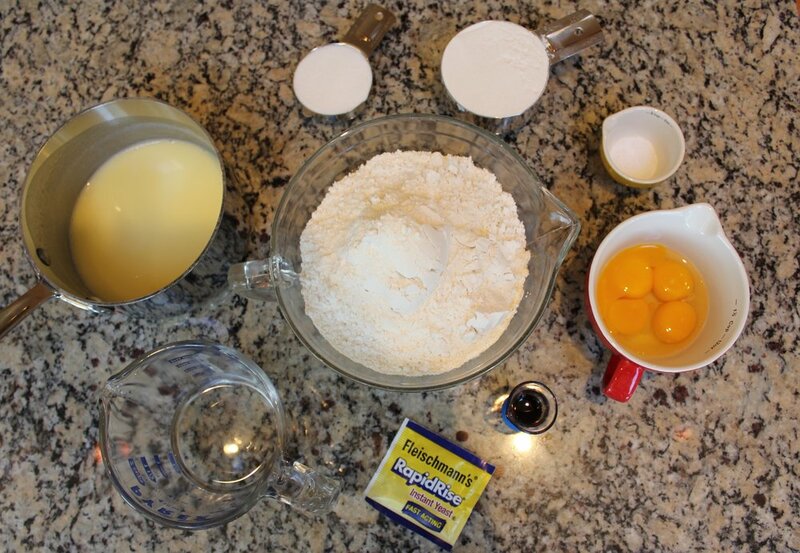 Add to Bowl: warm water, yeast, sugar, egg, egg yolks and vanilla. 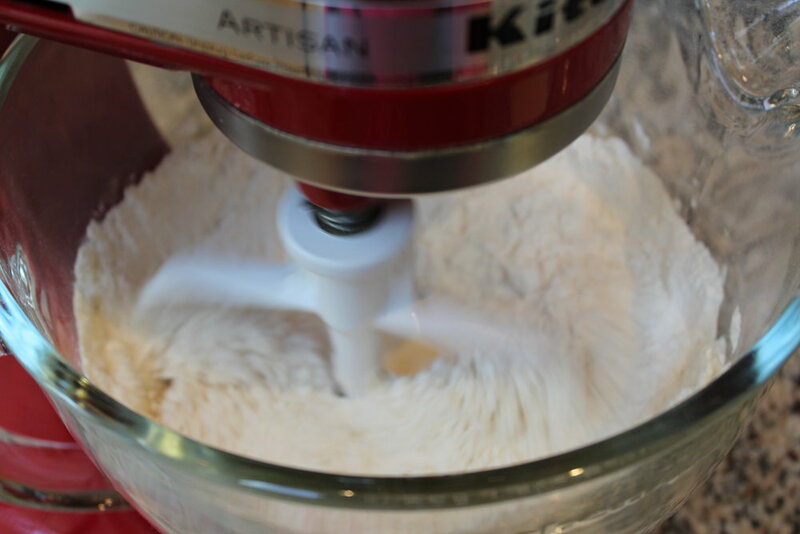 Continue kneading on speed 2 until dough is smooth and cleans the sides of the bowl. 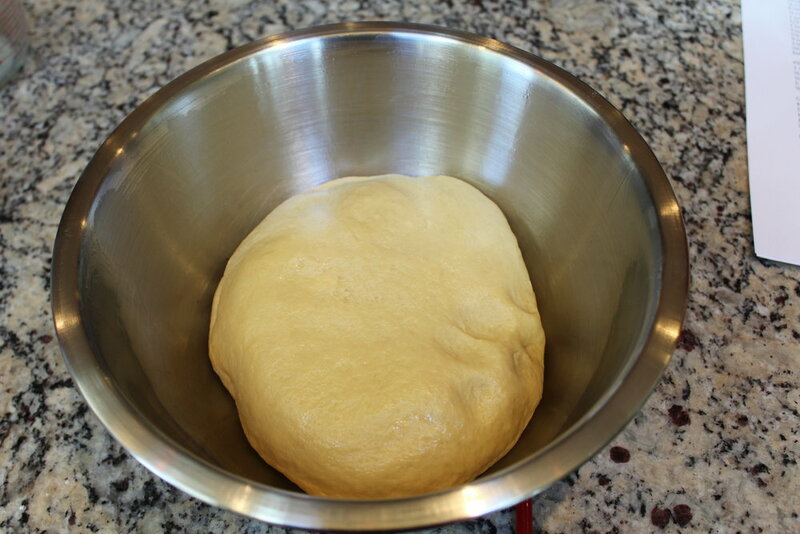 It will be a soft dough that will ride on the dough hook a little more than some other doughs. 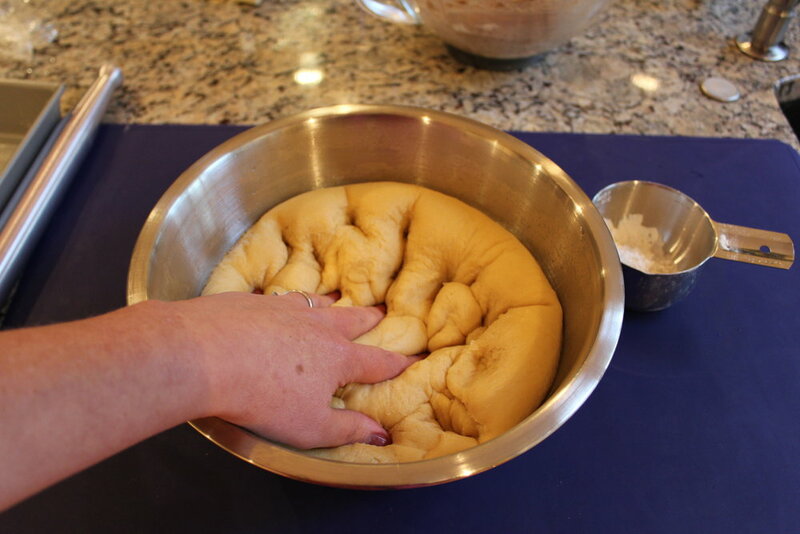 Transfer dough to greased bowl, turn to coat top of dough and cover bowl with plastic wrap or a clean bowl. 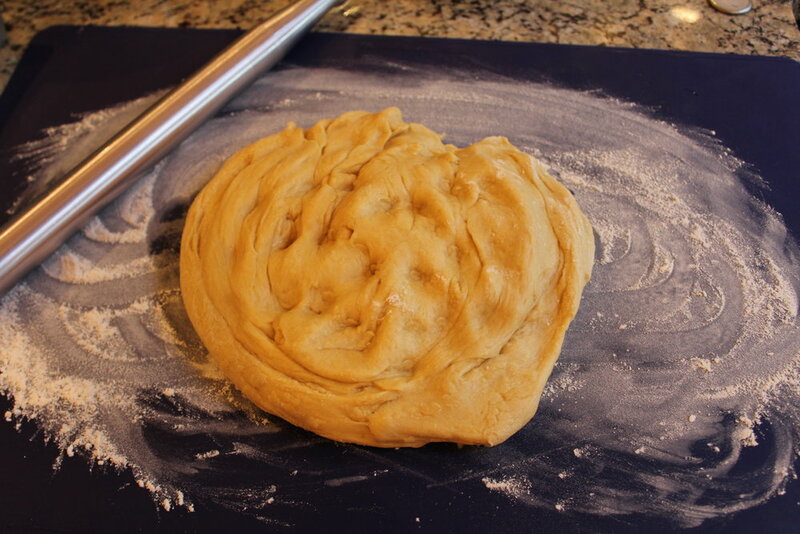 Tip: Take a photo of dough before it rises, so you can compare and see when it has risen to double. Find a warm spot for dough to rise. Tip: Sometimes I create a warm spot in my oven that is turned off. 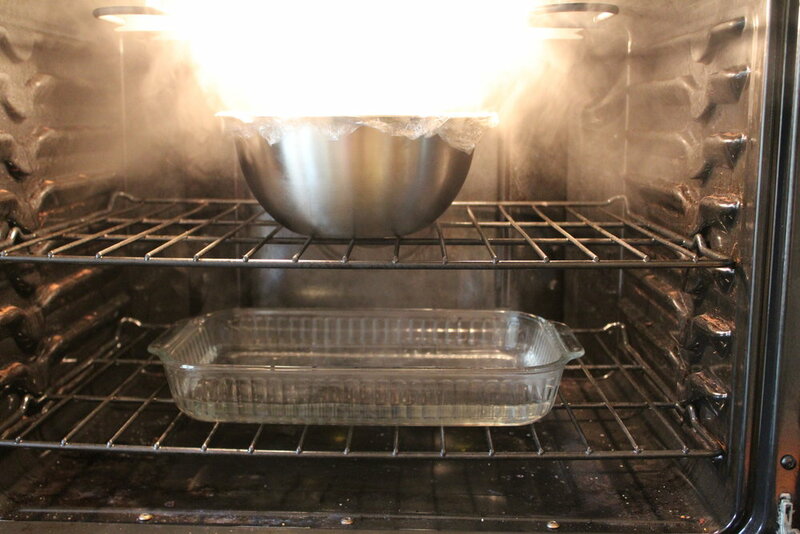 I pour some hot water into a heat safe dish on a lower rack in the oven. 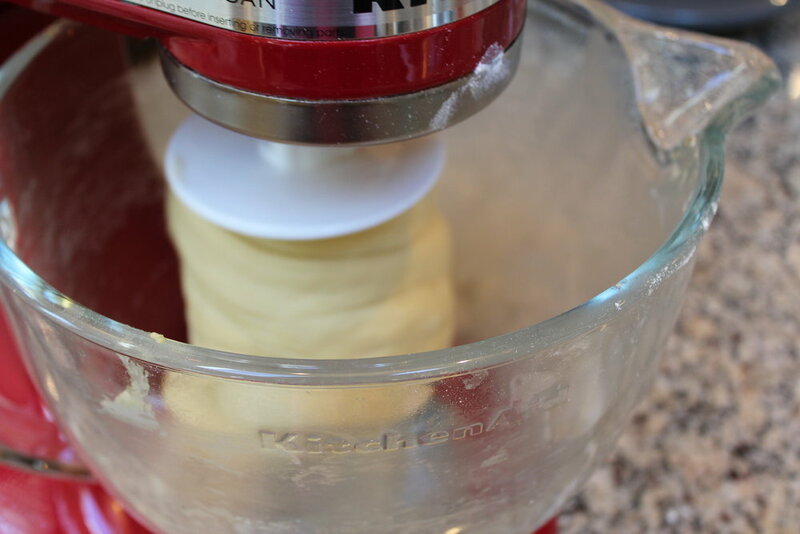 While the dough is rising, gather your filling ingredients. Mix the filling together until soft and spreadable. Butter your baking pan and get ready to roll the dough. 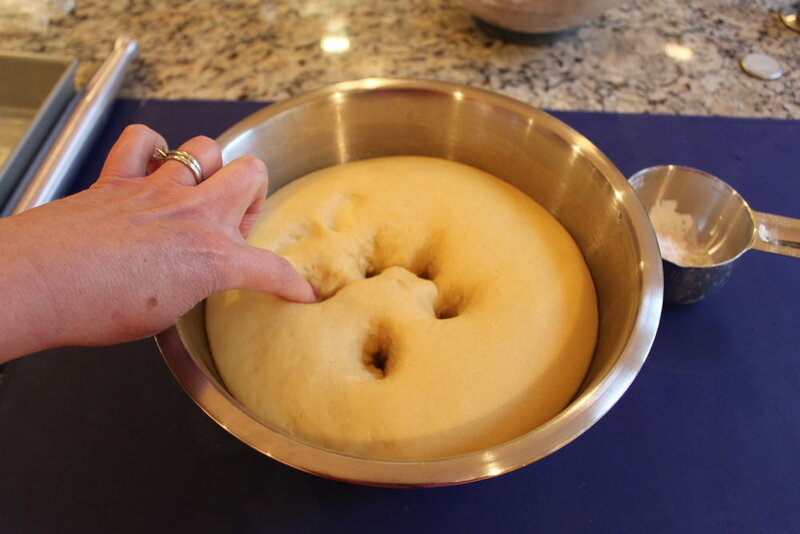 …and you can poke a finger into the dough and the indentation remains – it’s ready! 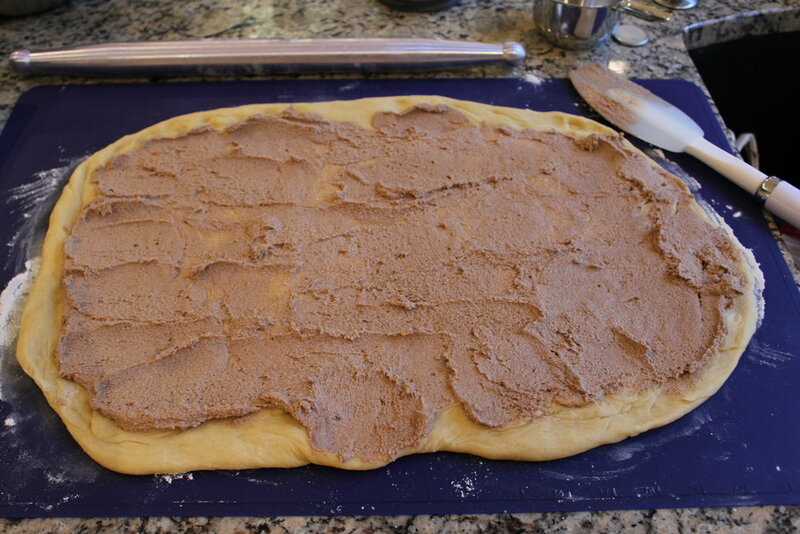 Press down the dough gently to deflate. …to roll into a 12″ x 18″ shape. 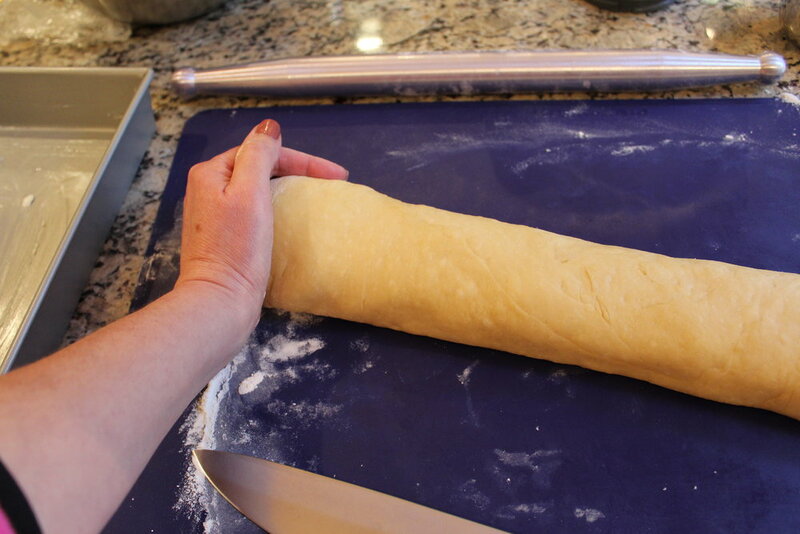 Begin rolling the dough from the long side facing you. 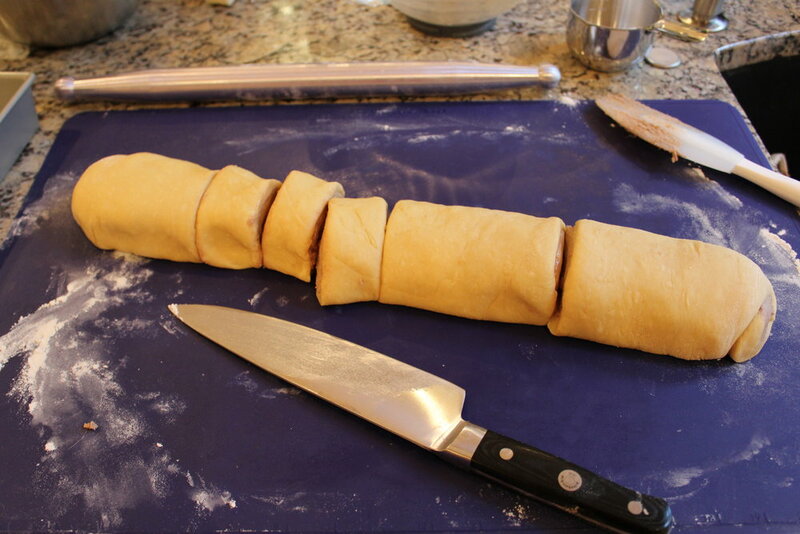 …gently press along the length to make an even roll and make sure it’s all sealed. 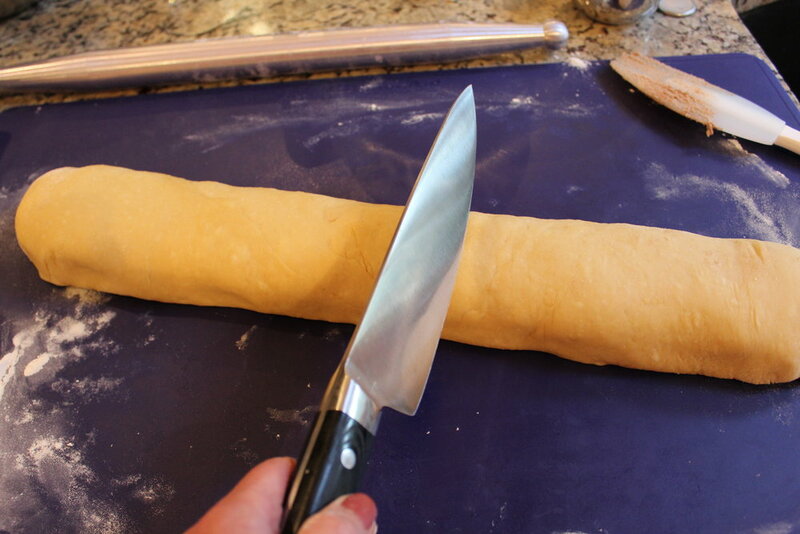 Use a very sharp knife, serrated knife or unflavored dental floss to cut nice “un-squished” slices. Cover with greased plastic wrap. (non-stick baking spray works well here.) Refrigerate overnight. 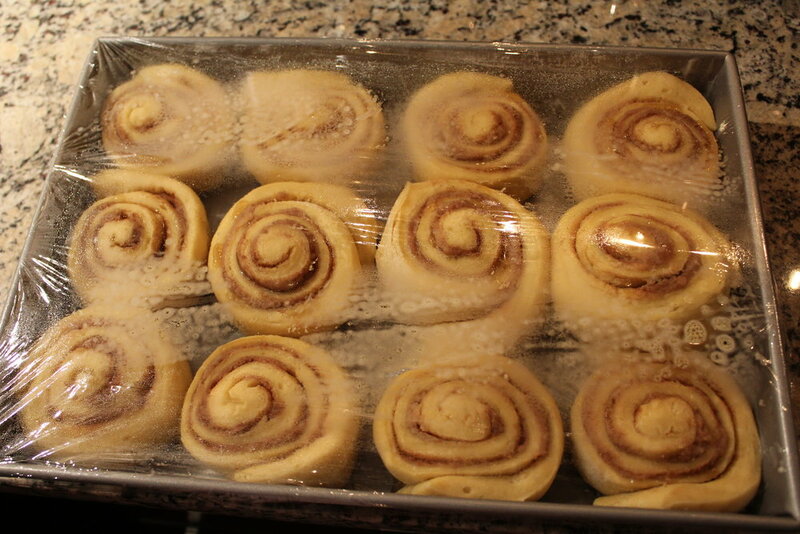 …and their little centers are puffing up – it’s time to bake! Mix up the icing while they’re baking. 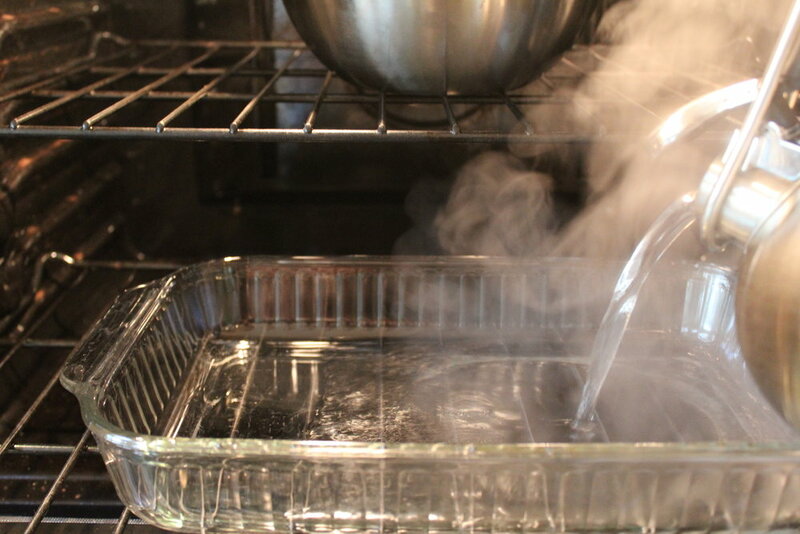 Remove from oven – inhale the yummy aroma! Slather on the icing when they’re warm – then grab your coffee and dig in! Thanks for spending some time in the cloud with me! 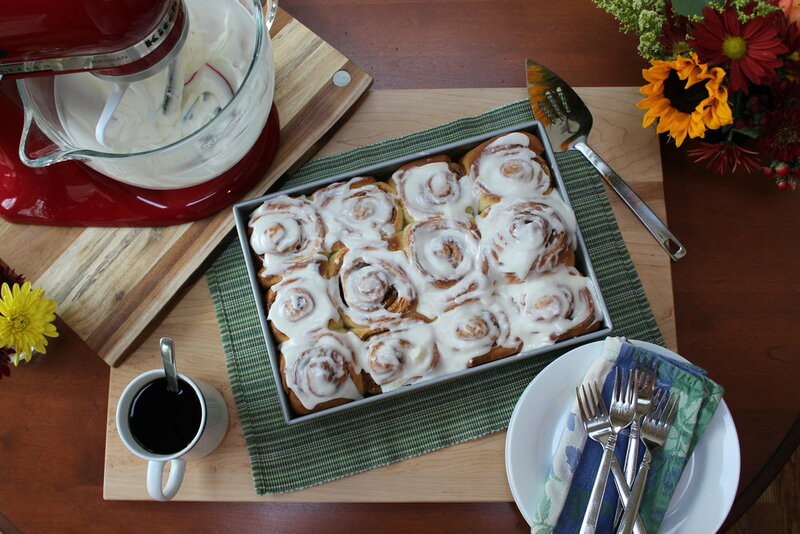 These cinnamon rolls rise overnight in the refrigerator. 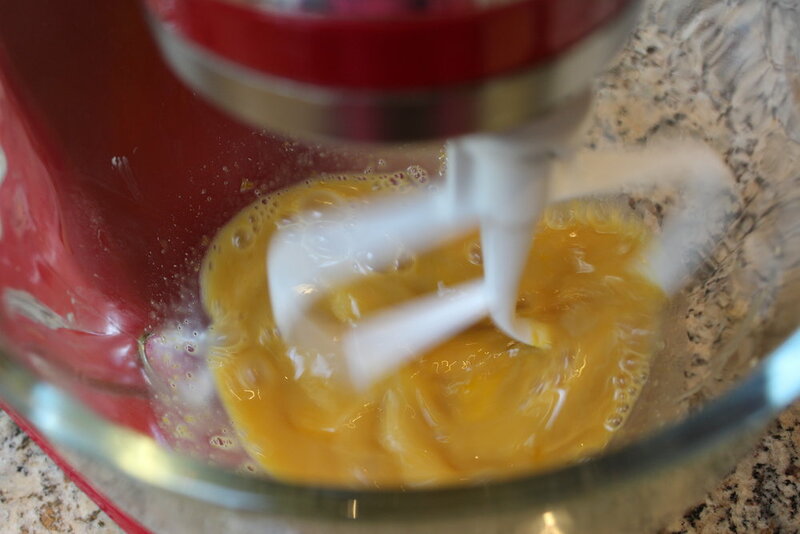 This dough is rich with butter, milk, an egg and egg yolks - reminds me of tender and rich brioche dough. 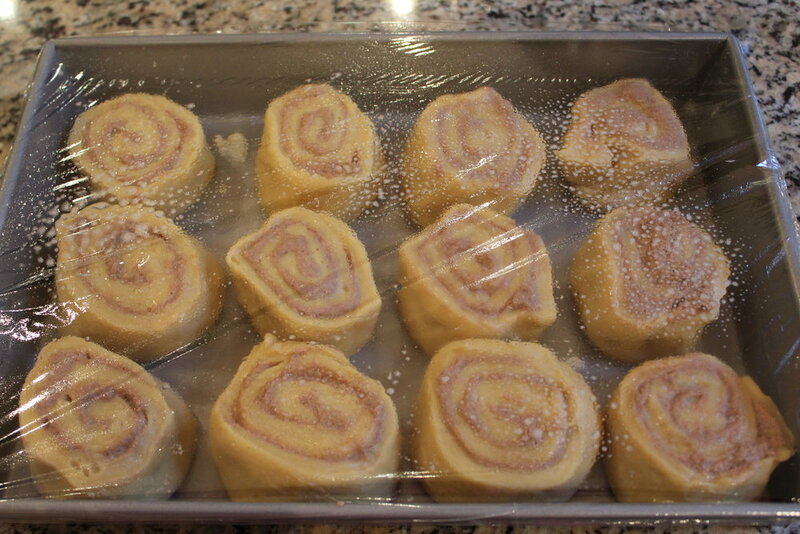 I always spread the warm rolls with a simple icing the melts, coats the rolls and slips into all the cinnamon swirls. Sometimes I make a simple butter, powdered sugar and milk icing, sometimes I make one with cream cheese - either way, they're delicious! 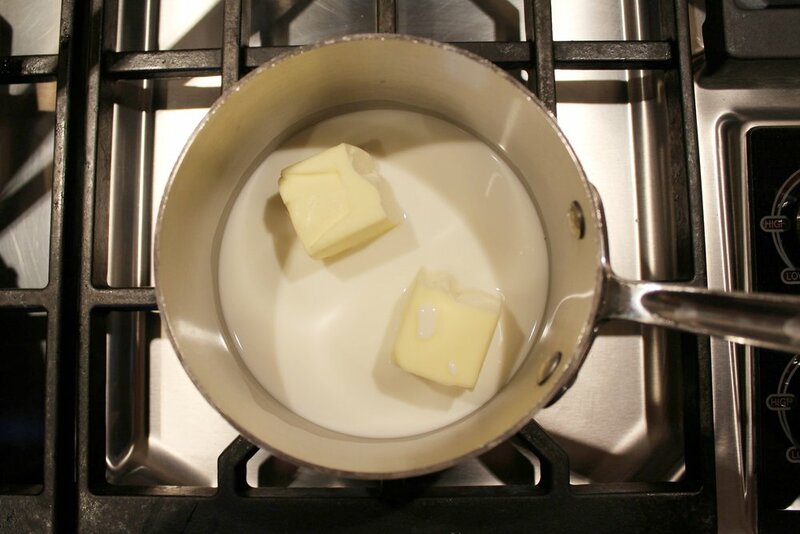 Melt butter and warm milk in small pan over low heat and allow to cool slightly. 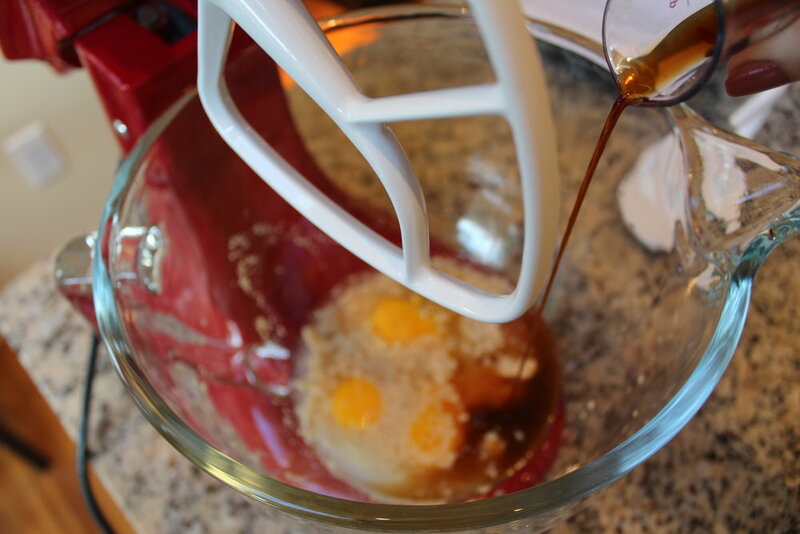 In stand mixer bowl with flat beater attached, add warm water, yeast, sugar, egg, yolks and vanilla and mix on low until combined. 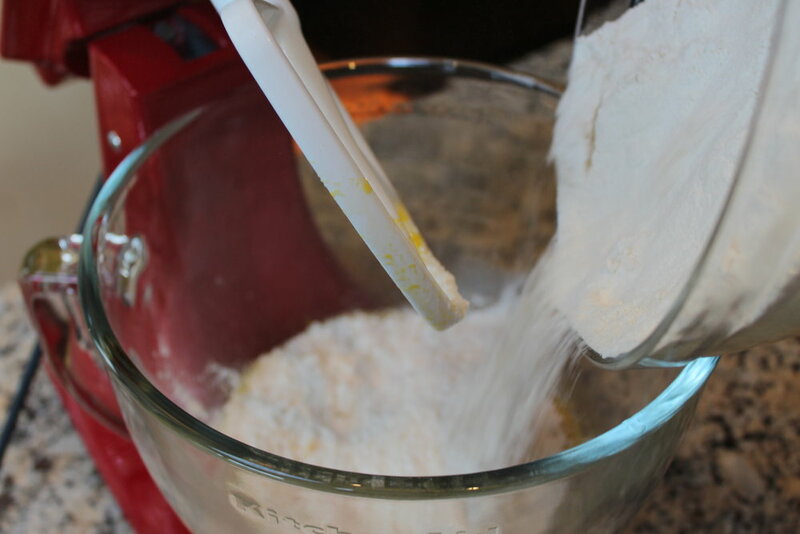 Add 4 cups flour and salt - mix on low until flour is mostly combined, then shift to speed 2-3 and drizzle in milk mixture. 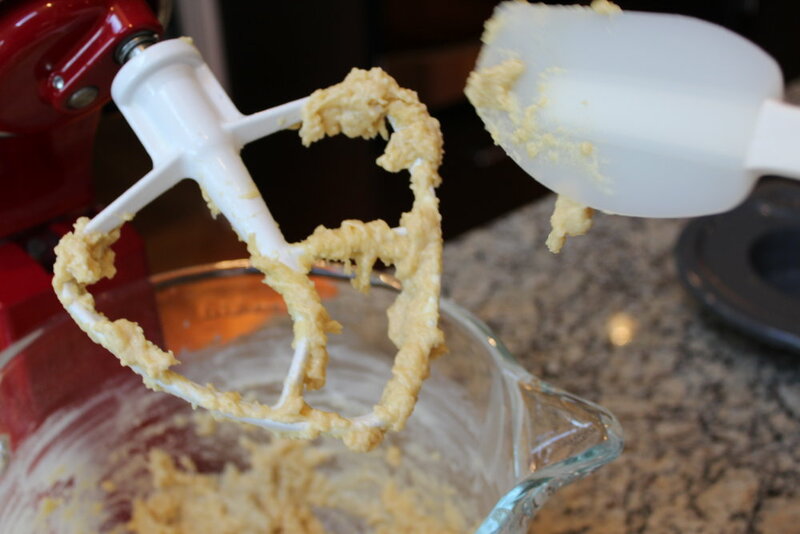 Mix until dough starts to pull together – will still be quite wet. 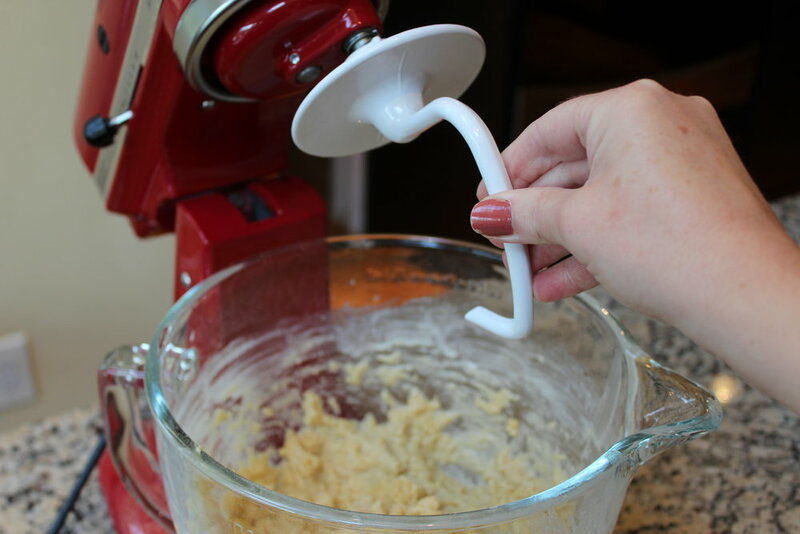 Switch from flat beater to dough hook. 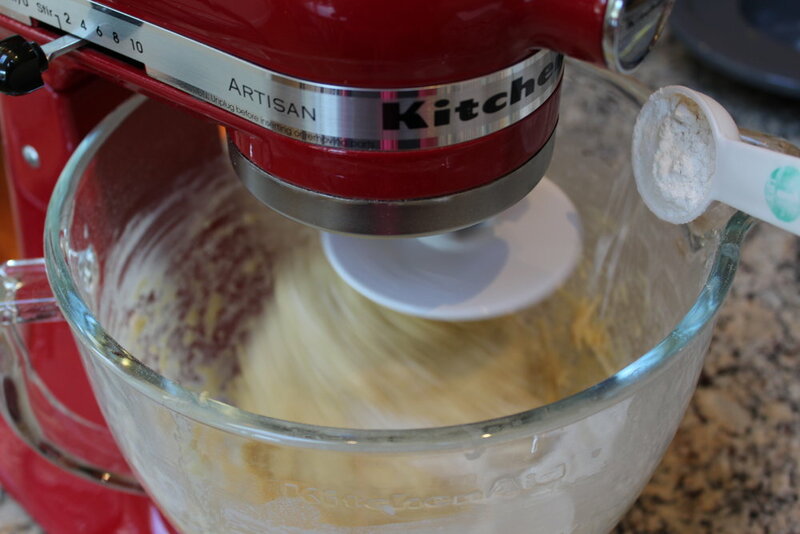 Begin to knead on speed 2 and add 1/2 cup more of the remaining flour. After that add 1-tablespoon at a time until dough is smooth and pulls away from bowl (I used ¾ cup of remaining cup of flour for my last batch). Knead about 5 minutes. 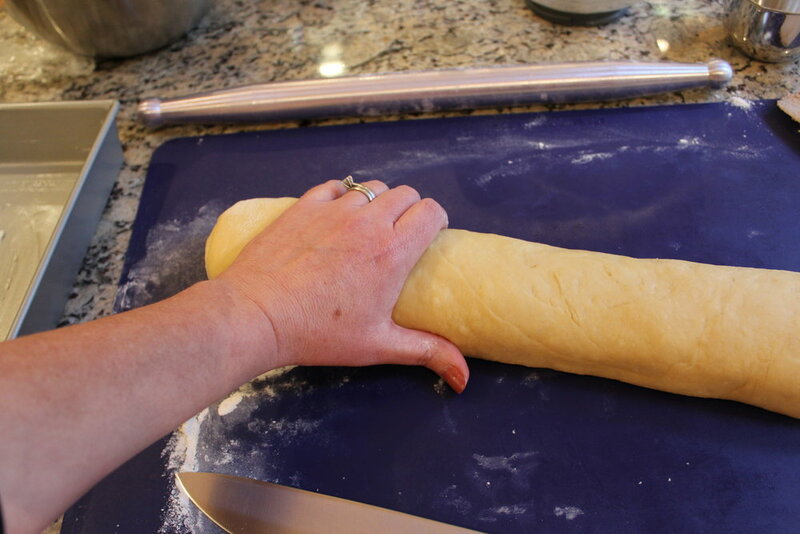 Note: This dough is softer and will cling to/ride up the dough hook more than some other doughs. 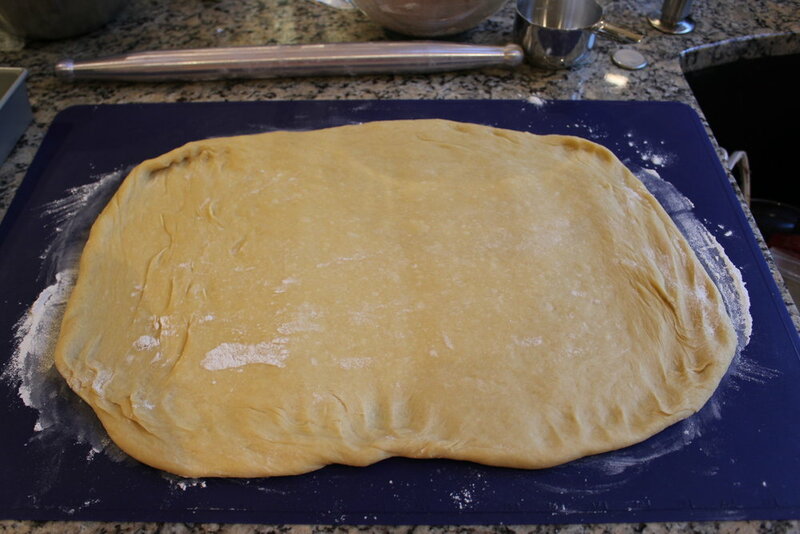 I stopped and scraped the dough off the dough hook a few times during the kneading process. Lightly oil the inside of a large bowl. Place dough in bowl, turning dough over so oiled side of dough is facing up. 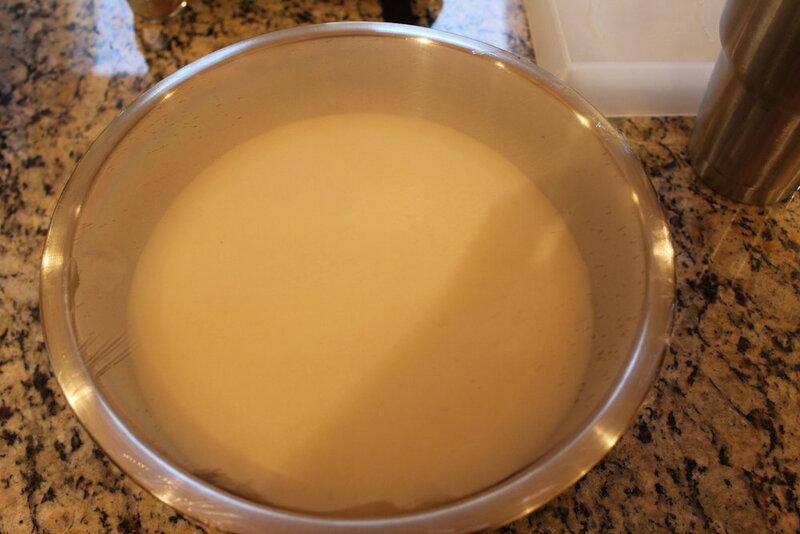 Cover bowl with plastic wrap and place in a warm place* until dough has doubled in size, about 2 hours. 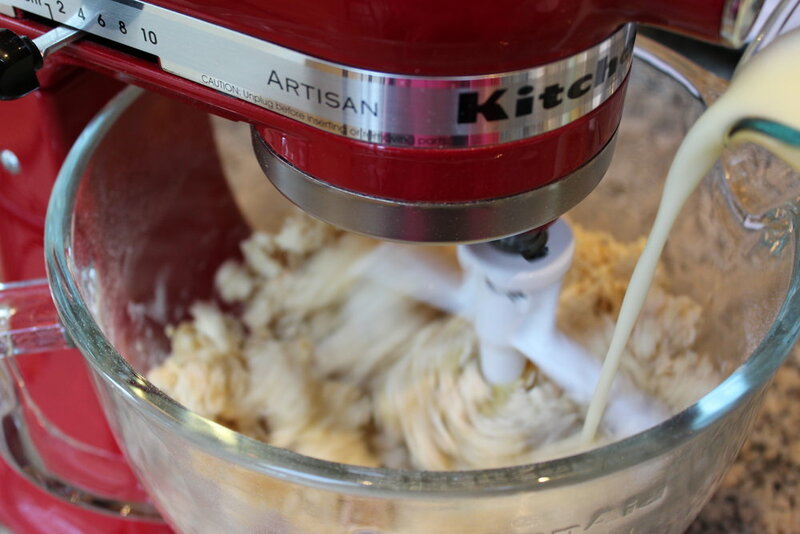 While dough is rising: Mix together filling ingredients until soft and spreadable. 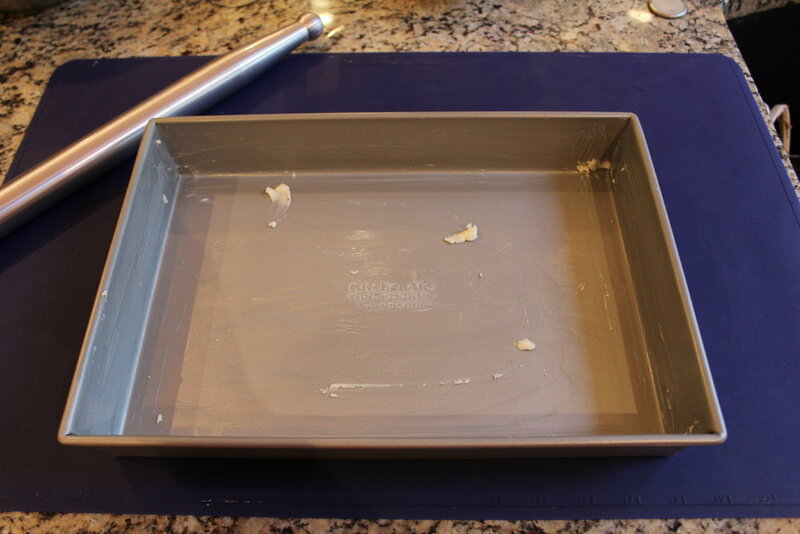 Grease a 9 x 13 x 2 baking dish. 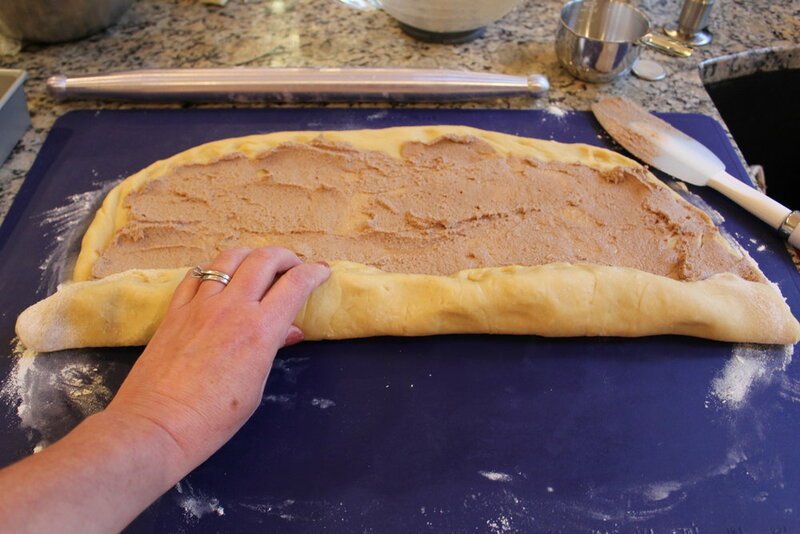 With the long-side facing you, spread the filling mixture evenly over the surface leaving a 1-inch border around the edge. Starting with the long side facing you, roll with both hands. Roll so the seam-side is facing down and use your hands to even out the roll. Then, cut with a very sharp knife, serrated knife or unflavored dental floss into 12 equal pieces. In the morning, place in a warm place* or leave out on counter covered until they come to room temperature, rise and expand some more and start getting puffy in the center. 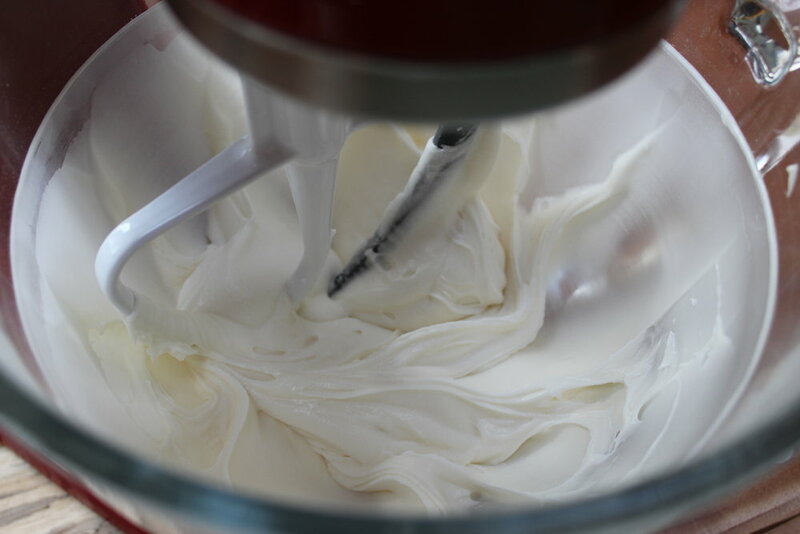 While the rolls are baking, make the icing: beat together cream cheese and butter until smooth. Slowly add vanilla and mix in the powdered sugar. 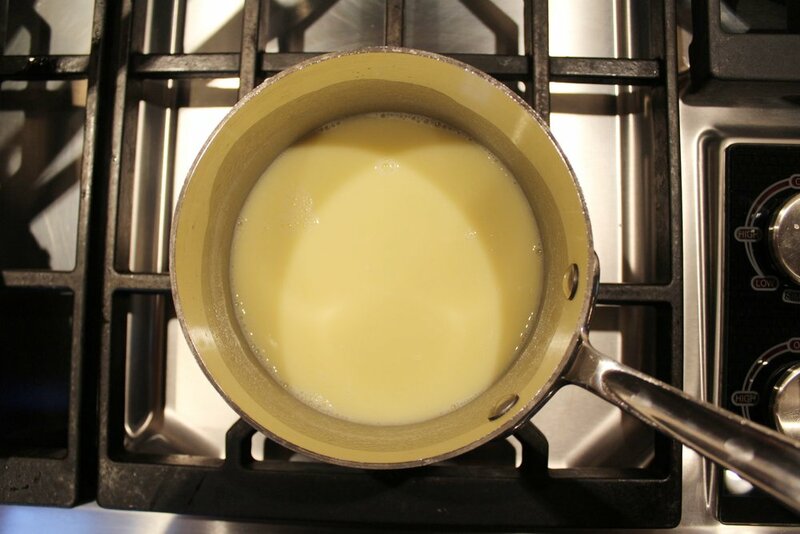 Add the milk, 1 tablespoon at a time until you reach a texture you like. 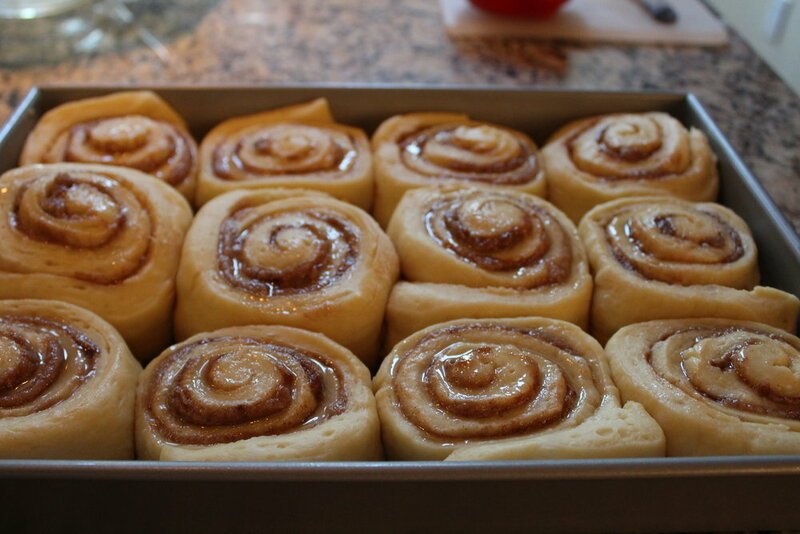 These cinnamon rolls look perfect for Christmas morning. Great giveaway. Happy holidays, Tina! 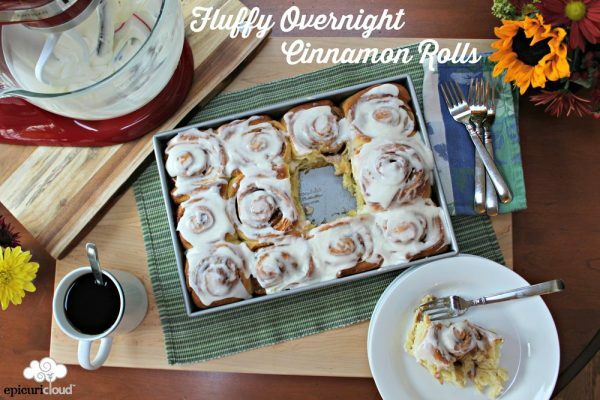 I’ve been looking for an overnight cinnamon roll recipe. . .this looks perfect! Thanks! I love Cinnamon Rolls and this recipe is just perfect for my birthday next week. Thanks for the chance to win such an amazing giveaway. I wish you a very happy and prosperous new year. 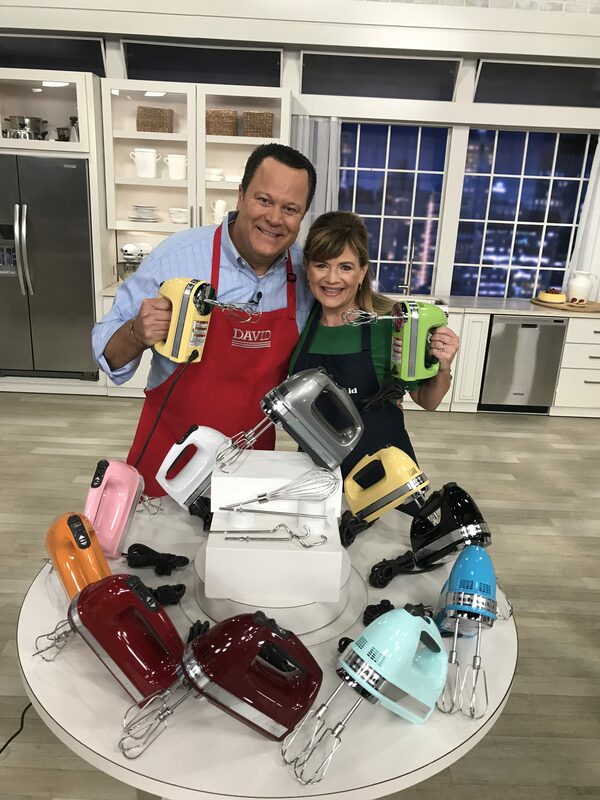 I just wanted to say thank you so much for the opportunity and I can’t wait to get it so I can start baking with ease!!! So happy for you Christine! 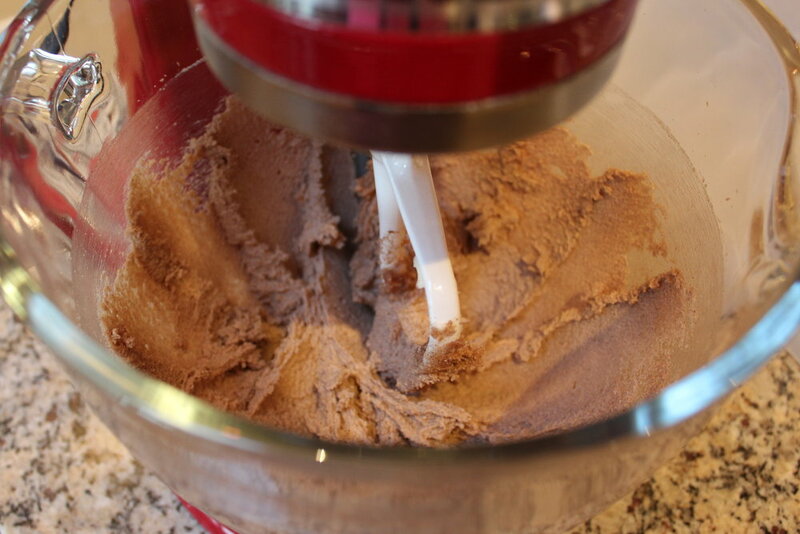 Enjoy the mixer and happy baking!! Tina, I have been trying to find your recipe for Refrigerator Dill Pickles. Can you please post it? It seemed like a fast, simple recipe to make. Thanks!